Making a release build for the app store or for distributing an app in your company is always a pain in the neck. Apple insists on changing the process for each version of XCode, changing the rules, changing licences, once or twice a year. There are numerous articles and blog post on the web that will try to help you build a release version of your app. I say try because it’s hard to find an up-to-date article that will fit your XCode and Mac OS version. So, this is my contribution to the confusion of articles on making a release build for an iOS App. On the 29th of August of 2012 with XCode 4.4, Mac OS Lion 10.7.4 and iOS 5 these are the steps on making a release build for Ad-Hoc distribution of an iOS app. The devices to which you intent to install your app need to be registered in your account. Give a name to the device and the Device ID and click Submi. You can register up to 100 devices. Click App IDs. On the tab Manage click New App ID. After submitting the profile it will be available in the profiles page. Once it is active, should take a few seconds (must refresh the page), you can download it. Now back to XCode. Select the Project and the info tab. Name the new configuration Ad-Hoc. It will look like this at the end. Now, still in the Project view, go to Build Setting tab. The Ad-Hoc configuration is in the Code Signing Identity table. Select Archive on the left. You are now all set up ( Finally!!! ) to create the distribuition package. On the next window choose your Ad-Hoc profile and click next. Select where you want to save the .ipa package, I chose the desktop. 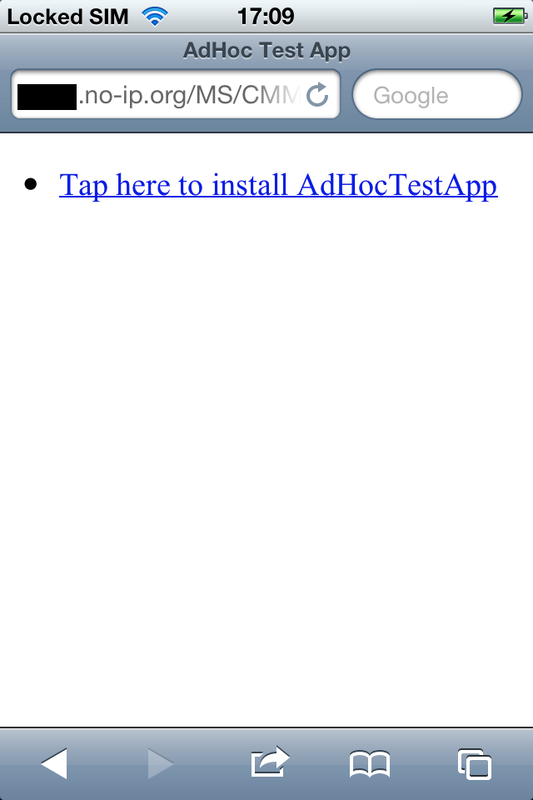 Download and Install the app on the iPhone through a webpage. Check it. 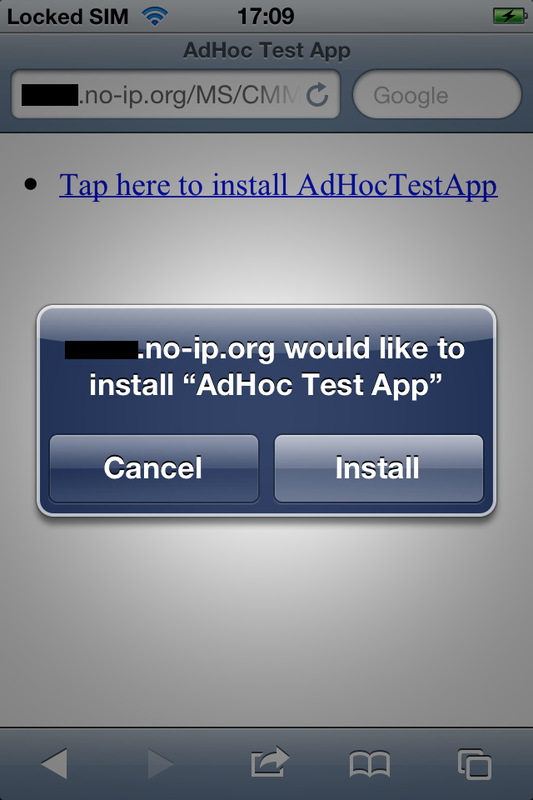 If you choose the first option the file AdHocTestApp.ipa will be created on the desktop and you can now drag and drop it to you iTunes and then synchronize the app. The Profile you created is embedded in .ipa package. And you're done! Congratulations!! Or not... If you choose the second option there are still a few more steps. So keep reading. I haven’t tested the subtitle and image URLs yet. The next step will be creating a web page form which you can donwload the app. This is the simplified version. Now, on your device, navigate to the page and download and install the app. Hello, this is a very nice article along with http://esrimobile.blogspot.pt/2012/12/on-my-previous-post-wrote-on-how-to.html I would like to translate them in italian and add them to my blog with links to the original articles and to your blog and giving you the credit. Sure you can! Sharing knowledge is what this is all about. Nice! This is the best tutorial i have seen so far!